As a Cloud platform, NetSuite releases scheduled updates to the entire customer base twice every year – these updates are aimed at continually improving the solution by adding new functionality or enhancements to existing features. For these releases, NetSuite uses a phased roll out approach, where updates are available to a small set of customers first, then progresses across the entire customer base. The 2018.2 Release went live for 5% of customers on August 17, 35% is scheduled for September 14, and the remaining 60% on October 12. This implies most of the customers have time to schedule an important pre-requisite activity which is ‘testing’. 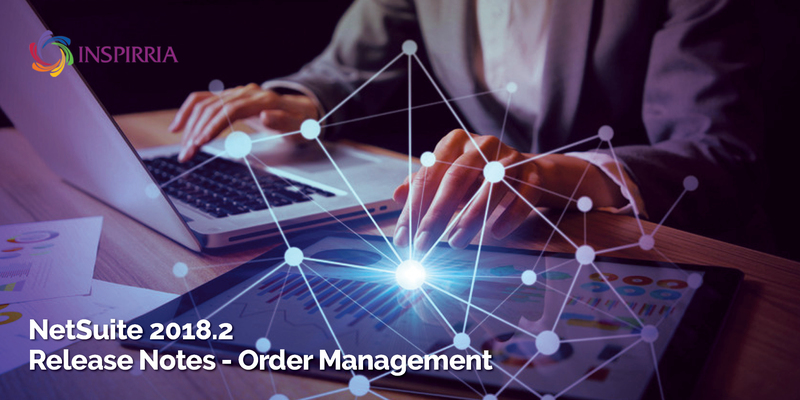 For order management, the 2018.2 has some key updates in store. The update is aimed at maximizing profit with new effective date pricing. Customers are now charged the right price at the right time always. The discount field allows for both flat rate & percentage discounts and decimals & precision have been enhanced to allow upto 8 decimal places for SuiteBilling. Additionally, multiple payments methods have been enabled via the payment instrument feature. Success in order management and fulfillment depends on decisioning speed and continuous monitoring of the impact of those decisions at all levels in the organization. This can be achieved with advanced systems like NetSuite. In the latest release, as an addition to the Supply Chain Management is the ability to add preferred substitute items against inventory and assembly items, and swap them out during the sales order entry process. When entering an order, if there’s a stock shortage on an item, a Suitelet screen displays all defined substitute items linked to the original item, as well as inventory status within the warehouse. This allows them to make better informed decisions about which items should be sold in place of others, allowing them to fulfill the sale in scenarios of stock shortages increasing revenue across the business. With more than 14 years of experience in cloud technologies and over 500 clients around the world, we have collaborated with innumerable global companies across industry verticals. Inspirria’s rich industry experience, coupled with its cloud-based strategic service offerings, has helped businesses drive operational excellence and improve ROI. Through our data-driven strategic cloud assessments, companies are able to gain better business value.